BOOM! Studios is proud to announce the newest addition to the Adventure Time comic book family! Based on the hit Cartoon Network series, ADVENTURE TIME: CANDY CAPERS #1, an all new standalone mystery series set in the Land of Ooo, will arrive in stores this month. A SUGARY WHO-DONE-IT IN THE LAND OF ADVENTURE TIME! Something rotten is afoot in the Land of Ooo, and someone's gotta sniff out what it is! When Finn and Jake are suddenly kidnapped, Princess Bubblegum deputizes two of her most trusted citizens...Peppermint Butler and Cinnamon Bun?! The crime movie homages come hard and fast in the Candy Kingdom that never sleeps! 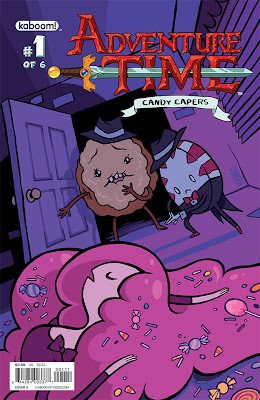 ADVENTURE TIME: CANDY CAPERS is written by Yuko Ota and Ananth Panagariya (JOHNNY WANDER) and drawn by Ian McGinty. It ships with main covers by Josceline Fenton and Magnolia Porter as well as incentive covers by Rebecca Mock and Tessa Stone. 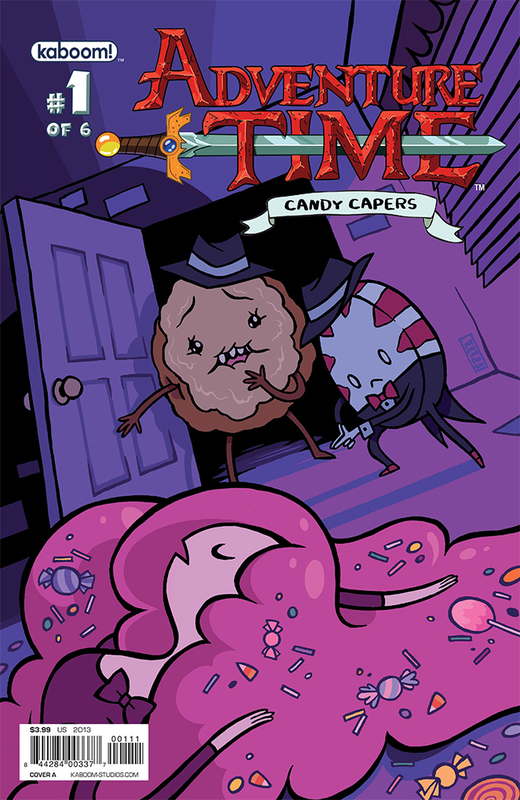 ADVENTURE TIME: CANDY CAPERS #1 ships with a retail price of $3.99 and is available for order under the Diamond Code MAY130954. 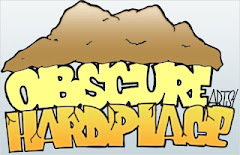 The debut issue is scheduled to arrive in comic book stores on July 17th, 2013. 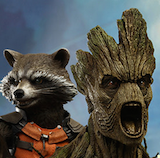 Not sure where to find your nearest comic retailer? 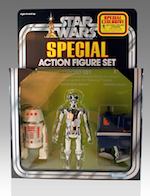 Use comicshoplocator.com or findacomicshop.com to find one! Subscriptions for the entire series are also available at boom-studios.com.